Cut outs are among the biggest fashion trends for summer 2013 — they’re the perfect way to show some skin without, well, showing too much skin. Cut out tops and dresses seem to be everywhere and if worn right, they can be extremely flattering. 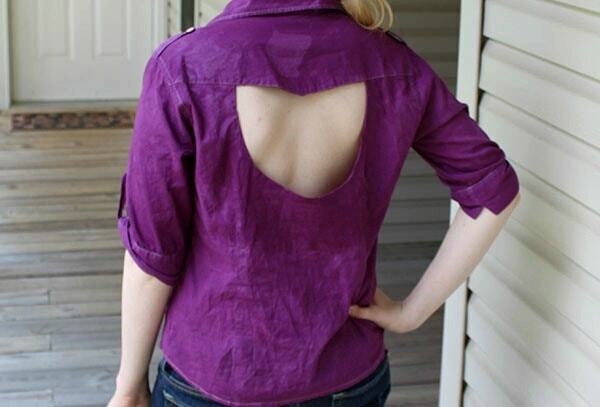 Personally, I like wearing mine just by itself for that edgy feel, but cut out tops would look great over a brightly-colored tank or with a bandeau peeking out the back. 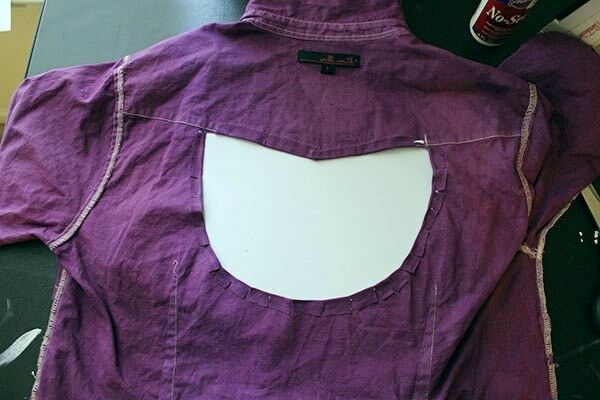 Use the chalk and ruler to mark out where you want your cut out area to be, then place a piece of cardboard inside the shirt. For my shirt I made a mark in the center back and then measured out 4″ on each side marking those with dots and then 5″ down and marking a dot. Then, using the chalk, I rounded the top dots down to the bottom dot, connecting them. The good thing about the chalk is that if you don’t like the first line you draw you can just redraw it until it looks the way you want. 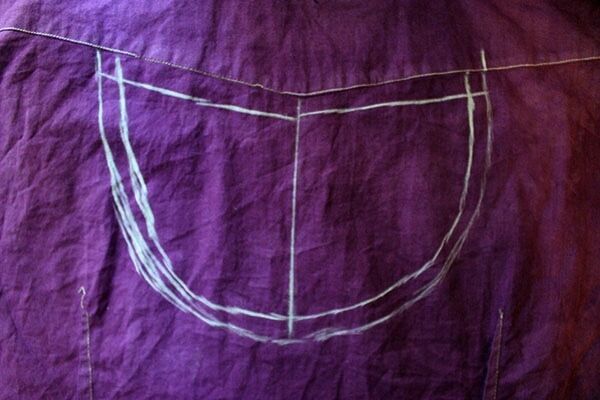 Now that you have your shape drawn, you should draw a similar shape about 1 cm inside the other shape, as seen below. 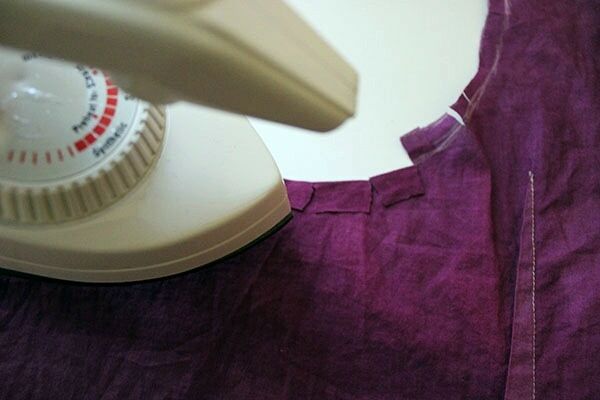 Using scissors, cut out the inside shape only. 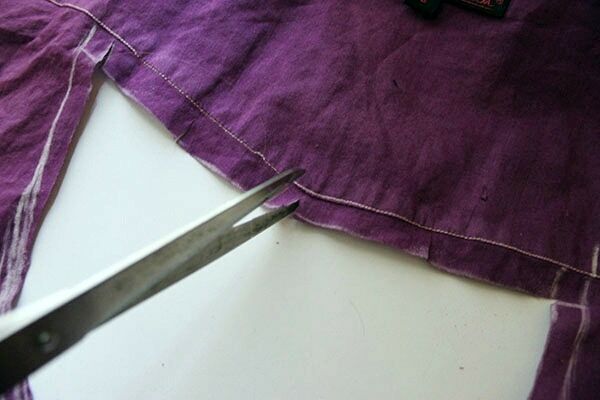 Using the scissors, create small slits in the 1 cm of material you left uncut. 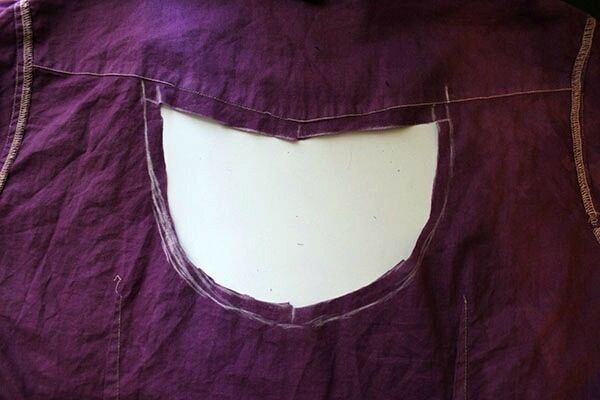 You will want to make your slits about a 1/4 of an inch all along the sides but don’t cut farther than the first chalk shape. 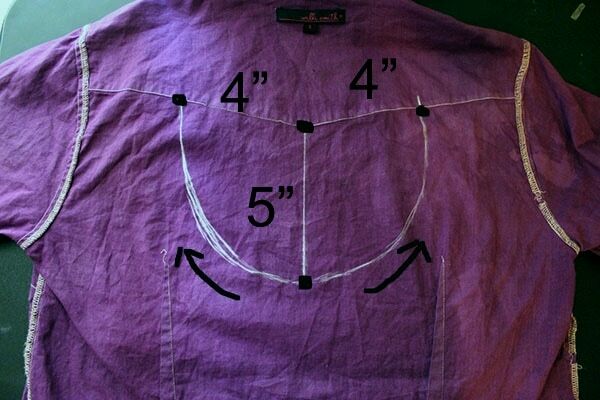 After all the slits are cut, use an iron to lightly press them backward onto the shirt following the chalk line as a guide for your shape. This will help to create a nice, smooth edge. 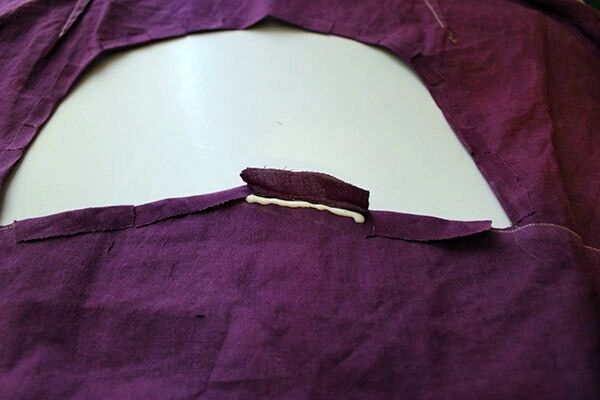 Now take the fabric glue and lift each flap one at a time, placing a thin line of glue under and pressing them firmly back down with your fingers. 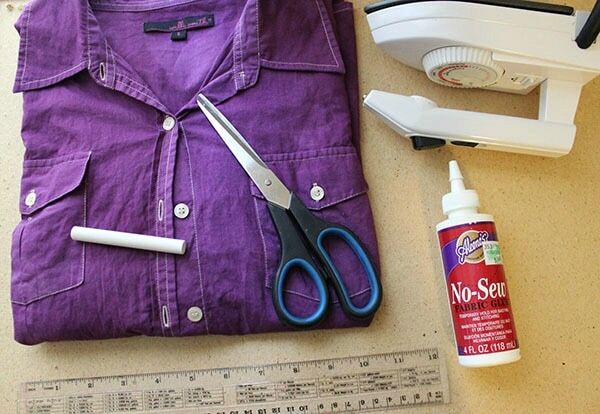 After you glue down all the pieces, allow the shirt to dry for about 24 hours, then it will be ready to wear! 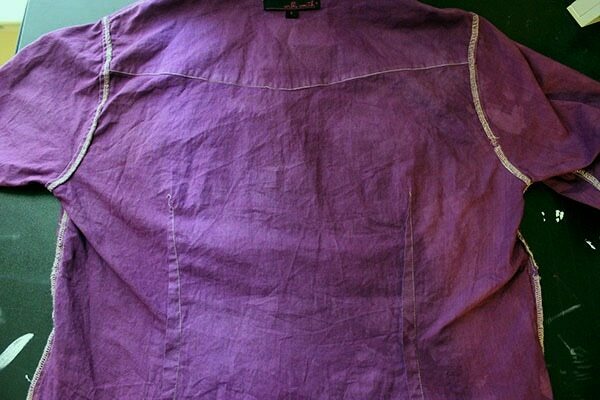 Just a heads up, you should probably hand wash the shirt since it has fabric glue, but if you want a machine-friendly garment then you can hand-sew each of the flaps to the shirt. 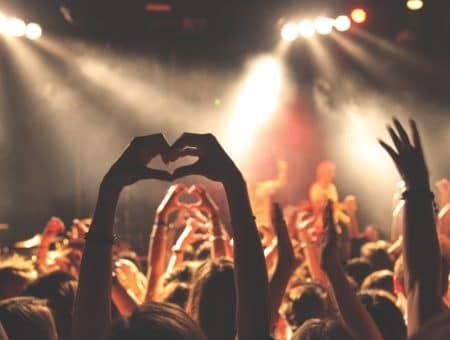 Do you like this DIY? 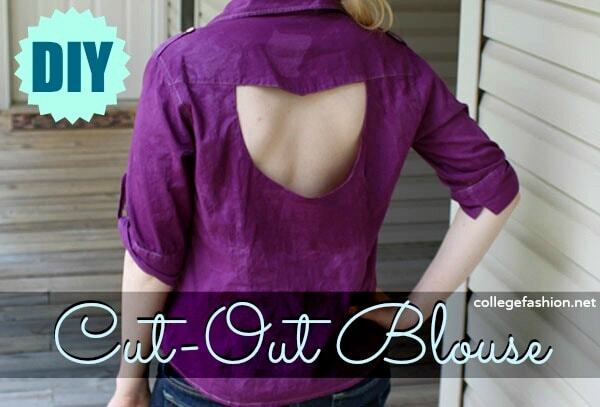 Are you going to make your own cut-out shirt? 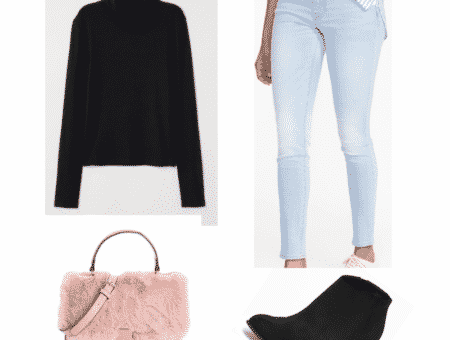 Is this a trend you’re loving? Want to see a certain DIY on CF? Leave a comment and let us know! Previous Ask CF: What Are Some Spring 2013 Sunglass Trends?